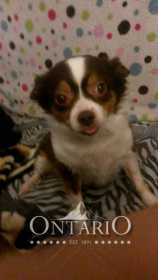 Moo Moo is a long haired tri color Chihuahua. Yellow eyes and was wearing a gray flea collar. Please help us bring her back home she has been with the family for 10 years and is more than a pet she is family.